Generally speaking, customer success is when the customer achieves the desired outcome using your product or service, and then stays on as a loyal customer. So it’s one thing to close a deal, but it’s quite another to deliver the goods, and if your customers don’t achieve success through the solution you’ve sold them, then your best sales efforts are wasted and the sale cannot be considered a success. In fact, failure to deliver on promises made at the time of sale will affect your company’s reputation and make the next sale that much harder. That’s why you need a 90-day strategy to ensure that your customers get what they expect and more from your company. Customer success is a team effort. Your job as a sales professional is to show customers how you can relieve their pain points. A customer comes to you with a problem, and to earn that contract you have to invest time and effort in understanding the problem in detail to ensure you present the right solution for the job. Once you’ve made the sale, you need to hand your knowledge off to the customer service team; they are then responsible for fulfilling the commitment you made as part of the sale. That’s how you keep lifetime customers and achieve customer success. Unfortunately, things often start to go awry at the handoff stage. Incomplete communications or a failure to set appropriate expectations means customer onboarding can get off on the wrong foot, which can jeopardize the customer relationship. A comprehensive customer onboarding strategy can eliminate most of these concerns. Before you can develop a 90-day customer success program, it’s important to appreciate the different between customer satisfaction and customer success. Of course, you want happy customers. You are 14 times more likely to sell to a happy customer than a new customer, and happy customers can lead to at least nine positive referrals. However, what makes a customer happy may not be the same as what creates customer success. As stated earlier, customer success is generally defined as achieving desired outcomes using your product or service. You can have a great product at a great price with outstanding service and support, but if it fails to do the job for the customer, it is of no value. For example, you may offer a terrific enterprise software solution that is ideally suited to the customer’s needs, but if the customer can’t adapt the solution to fit in their organization’s workflow or if employees refuse to use it, then the sale will be a failure. Customer success starts with the sales process, when you first map the solution to the customer’s problem. As the sales professional, you should begin by correctly identifying the stakeholders. The customer decision-maker for the sale, for example, may be different from the person responsible for execution. You want to clearly identify who has a stake in the success of your product before you close the sale. You can begin by creating a customer profile that clarifies who will benefit most from your product or service. Identify the party or parties within the organization who will benefit from what you are selling and make a list of possible impediments to success. You want to be clear about defining goals and what the appropriate stakeholders need from you to succeed. As part of customer onboarding, you should break down your strategy into a timeline that outlines each step. Your first step should be to establish a communications channel and make sure you promote enthusiastic customer satisfaction right away; customer success will come later. For the first 30 days, establish objectives and the rules of engagement. Dive into the customer’s issues and create a typical use case for your product or service. Be sure you have a deep understanding of your product and its applications, and talk to the customer to align your capabilities with their requirements. The use case you develop to establish objectives should also provide indicators for possible future sales. As you develop your use case, be sure to establish milestones that map the customer’s current needs and goals to your product capabilities. Also consider opportunities to cross sell and upsell. It’s a good idea to review ROI by comparing product pricing to value at the outset. If you have variable pricing for services, for example, establishing a value baseline early on will eliminate having to prove value and renegotiate price later on. Within the first 60 days you should have a firm understanding of what success looks like for the customer. 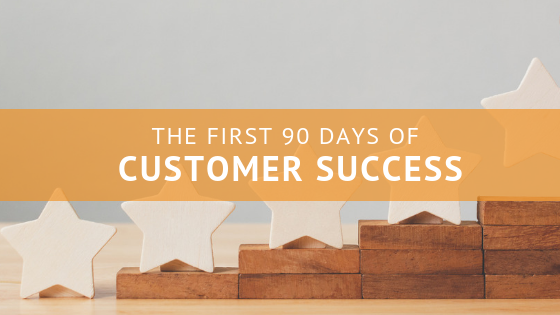 Take what you have learned from your first 30 days and craft a customer success strategy. You can work with the customer to establish a baseline for success. You also can use a customer onboarding framework to identify the easiest path to achieve that success. This is also the time to map the customer experience life cycle, including customer health, and create an engagement model. The experience lifecycle maps the customer experience from acquisition (find the right customer who can get value from the product) to engagement (find the right stakeholder and work toward long-term success) to retention (be sure goals are being met and value demonstrated). With ongoing feedback, you can gather more data to refine the experience life cycle, improve customer satisfaction, and work toward established goals. This engagement model will help define actions at each stage of the life cycle, using data to inform business reviews and recalibrate success. After 60 days you should be ready to scale the program. Establish mutually agreed upon key performance indicators and metrics to gauge customer success. Identify the skills that may be missing and expand the success team as needed. You also can assess overall performance and identify any tools or assets that may be missing to ensure growth. The key to customer success is collaboration and communication. Be clear in marking goals and milestones, and structure regular check-ins to discuss progress, asses customer satisfaction, and uncover opportunities for additional sales. Gather ongoing feedback as part of customer engagement from the outset, capture data about what’s working and what isn’t, and create well-defined processes and protocols so you have a common blueprint for customer success. To promote customer retention and create new opportunities, you need to be flexible and continue to ask “why” as the relationship deepens. Priorities and requirements tend to change, along with the shifts in the B2B landscape, and if you can adapt to address those changes, you will have a happy customer who can recognize the true value of doing business with you.